TWO "foot soldiers" contracted by senior figures in an organised crime group to kill Michael Frazer have received jail sentences of 11 and 10 years at the Special Criminal Court. Stephen Dunne (39) and Gary Gleeson (34) were arrested and charged after detectives intercepted a Fiat doblo van during an operation targeting organised crime in Dublin in August 2017. They had a loaded gun sitting between them. The men had been secretly recorded by detectives as they planned the hit, with Gleeson recorded saying "aim for the head. Have to get him in the head. Head shots or we won't get paid." The Special Criminal Court also heard that detectives found a tracking device under Mr Fraser's van. Gleeson's lawyer Michael O'Higgins SC previously said his client was very remorseful and had written a letter of apology to Mr Frazer. Gleeson had also been blamed over a lost shipment of drugs worth €80,000 and had a “bad time” with those people who wanted their money back. His family became involved in the cross-fire, the court heard. Sentencing the men this afternoon, Mr Justice Tony Hunt, presiding, with Judge Patricia Ryan and Judge Michel Walsh said the plan to kill Mr Frazer was "shambolic, confused and ill-prepared", adding that this was impacted by drug taking, which was clearly audible on the secret recordings of the pair. Judge Hunt described the defendant's scheme as a "dangerous and outrageous escapade" and said the audio recording was a "disturbing document" which included a "graphic description" of what each man proposed to do to the intended victim. However, the court accepted that neither man were "organisers" in this "deadly enterprise". The court sentenced Gleeson to 12 years in prison with one year suspended, and imposed a 12 year sentence on Dunne with two years suspended. Gleeson, of Muskerry Road in Ballyfermot, Dublin 10 and Dunne, of Meile an Ri Drive in Lucan, pleaded guilty in May to possession of a 9mm Luger semi-automatic pistol and 10 rounds of 9mm calibre Sellier and Bellot ammunition with intent to endanger life. The offences were carried out at Naas Road, Crumlin on August 7, 2017. The two men had previously been charged with conspiracy to murder Dubliner Michael Frazer (39) between July 28 and August 7 last. Detective Inspector David Gallagher, from the Garda National Drugs and Organised Crime Bureau, previously told the court that the men's target was Mr Frazer. He had a threat to his life, and was targeted by senior figures in an organised crime group for internal matters. The defendants were contracted and paid to carry out the attack, the court heard. 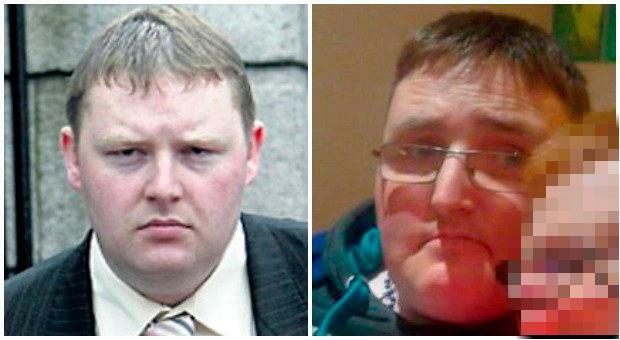 Mr Frazer did not want any involvement with gardai in this investigation, the inspector said. Defence lawyers Michael O'Higgins and Michael Bowman SC, for Dunne, emphasised that the mere essentially "hired hands" or “foot soldiers” and not the brains of the operation. In relation to Gleeson, Mr O'Higgins said he had a very adverse reaction to his mother's death and began to drink and take cocaine. A psychological report from a consultant clinical psychologist was previously handed into court which noted that Gleeson had full “suicidal ideation” in the lead up to this event. The report said his judgment would have been impaired and it indicated he was a depressed person. Mr Bowman said Dunne had struggled with heroin addictions for over 20 years. There have been serious attempts at self-harm and he also struggled to form meaningful relationships with his peers. Previously, Det Insp Gallagher told prosecuting counsel Garnet Orange SC that gardai received confidential information that a criminal gang in Dublin were involved in the active targeting of an individual who was based in the Drimnagh area of Dublin. An investigation was put in place and surveillance was conducted for a distinctive van, a Fiat doblo, with particular wording on it. A warrant was then got to place an audio surveillance device on the van which led to information being gathered. Insp Gallagher said gardai continued to gather information and to track the Fiat doblo van, as it moved through west Dublin. At 7.45pm on August 7, 2017 a decision was made to intercept the van. Insp Gallagher said officers found Gleeson and Dunne in the van with a gun sitting between them. The gun was loaded, and ready to fire. There was one round in the breach and there were nine further rounds in the magazine. A can of petrol, lighter and rubber gloves as well as a small amount of cocaine were found after gardai searched the vehicle. The court heard a conversation between the two men was recorded from when they entered the van on the evening of August 7 at 7.19pm.